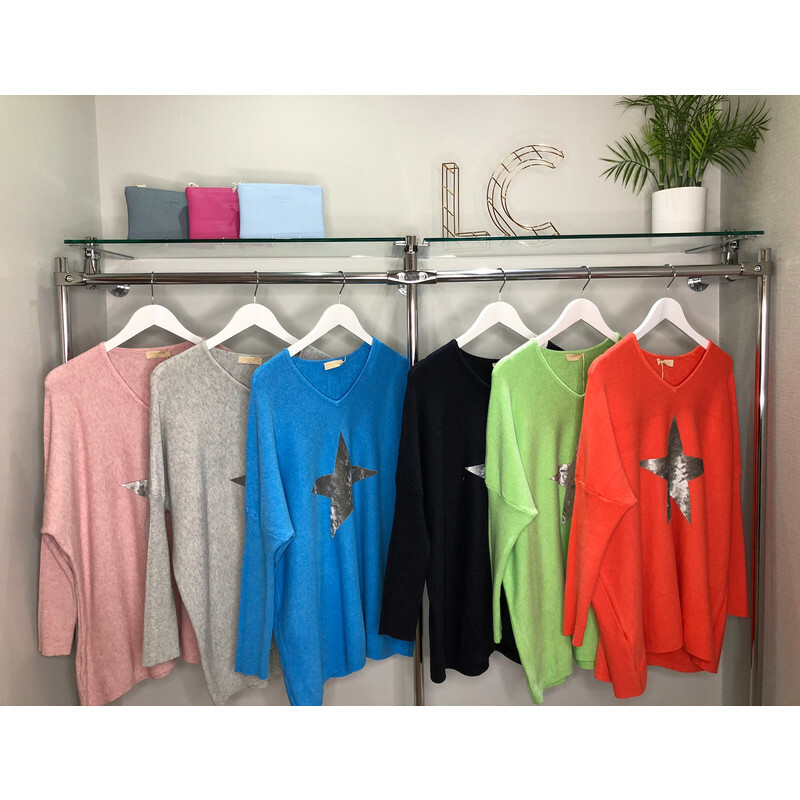 Sara Oversized Star Jumper is a soft knit V neck with fitted sleeves. The crushed velvet star detail on the front makes for a striking jumper. 44% viscose 32% polyester 24% polymide. Wash at 30 degrees.Do not tumble dry.